Are Your Personal Care Products Doing More Harm than Good? 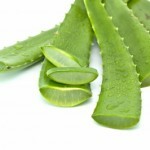 For centuries, the aloe vera plant has been used to treat and cure many conditions and ailments. Overflowing with healing properties due to its rich vitamin and mineral content, aloe vera personal care products have countless uses for health, beauty, and hygiene. 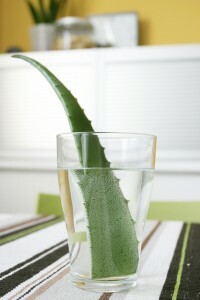 Aloe vera helps to stimulate cellular growth and enhances blood flow. 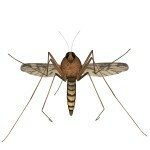 This is vital to the body’s ability to defend itself against harmful toxins. Aloe vera is a natural detoxifying agent. It allows the systems of the body to work at optimal efficiency. Aloe vera is anti-fungal, anti-viral, and anti-bacterial, making it ideal to keep infections at bay. Loaded with antioxidants, it protects the body against damaging free radicals that are responsible for a host of diseases as well as speeding up the process of aging. The effects of good oral hygiene run far deeper than the mouth. Teeth and gums that are coated with plaque have actually been linked to an increased risk for various cardiovascular diseases. Adding aloe vera to an oral hygiene regimen greatly boosts the mouth’s protection against periodontal diseases, such as gingivitis. Aloe vera’s anti-bacterial properties help fight off the underarm bacteria that causes offensive odors. Aloe vera deodorant provides safe and effective protection that lasts all day long. It glides on smoothly without leaving any residue on clothing. Hand sanitizer formulated with aloe vera is a potent defense against dirt and grime. Killing 99.9% of germs, aloe vera hand sanitizer softens and moisturizes the skin leaving behind a pleasant scent without a sticky feeling. Providing the ultimate protection against the elements of sun and wind, aloe vera lip balm protects the delicate skin of the lips from dryness and chapping. Ideal for restoring luster and shine, aloe vera shampoos, conditioners, and styling products gently cleanse and moisturize while strengthening the hair. Razors can potentially do great damage to the skin. Aloe vera shaving gel works to help the razor smoothly glide across the skin for a close and even shave. In the unlikely event of a cut or scrape, the healing components go immediately to work to soothe the skin while reducing inflammation and redness. Ideal for use after bathing or hand washing, aloe vera lotion helps skin to maintain its natural pH balance while counteracting the harmful effects of pollutants in the environment. Aloe vera lotion restores silky suppleness to skin, making it feel smooth to the touch. It nourishes at the deepest levels, stimulating collagen production for softer, younger looking skin. Get back to nature with the wide variety of products made with healing and hygienic aloe vera.